Afghanistan National Horticulture Development Organization (ANHDO) is an Afghan NonGovernmental Organization established in 2009 whose mission is to enable horticulture stakeholders to improve the Afghan horticulture industry by providing technical services, upgrading capacities and promoting private ?? ?public coordination. This annual report includes the activities report of ANHDO's different projects during 2016. This annual report includes the activities report of ANHDO's different projects during 2015. Horticulture Development Magazine is a quarterly publication which is being published by ANHDO. It contains different articles and researches for promoting horticulture sector in Afghanistan. The fruit tree nursery growers' associations manual, intends to provide up-to-date information useful for the establishment of nursery growers' association in Afghanistan. This manual provide a guide for the correct use of mother trees for producing high quality fruit trees propagation materials. This manual intends to move towards the development of standard procedures for the production of certified planting materials. This manual provides a guide for the establishment and management of registered fruit tree nurseries and advises on practical steps to improve the quality of the saplings produced in the nurseries.? ?This manual intends to facilitate the development of standard operating procedures for the production of certified fruit trees. 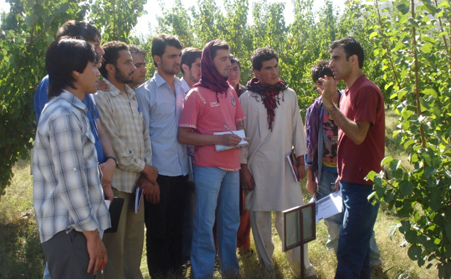 This manual contains information about orchard management in Afghanistan, this includes the challenges and problems the owner faces and instructions to how tackle those problems and challenges. This is the first edition of the ANNGO catalog The main purpose of this document is to give to Afghan Growers a solid decision making tool to develop their orchards. True to type saplings available in Spring 2012, originated from the Afghanistan National Collection (species, varieties, accession number, rootstocks, characteristics). This document explained: Sub Culture of Plants in Vitro, Transfer of Plantlets in Rooting Media, Plant Micropropagation and Micrografting for Virus Cleaning. The Asian citrus psyllid, Diaphorina citri, is a sap-sucking, hemipteran bug in the family Psyllidae. It is an important pest of citrus, as it is one of only two confirmed vectors of the serious citrus greening disease. The longhorn beetles are a cosmopolitan family of beetles, typically characterized by extremely long antennae, which are often as long as or longer than the beetle's body. This brochure contains information about Damping-Off disease, its symptoms and treatment. This brochure contains information about Nematode, its symptoms and how to control it. This brochure contains information about White-Grub, its detection and controlling methods. This poster shows the practical ways that how safely use pesticide, it contains images and graphics that indicates the steps to be considered. 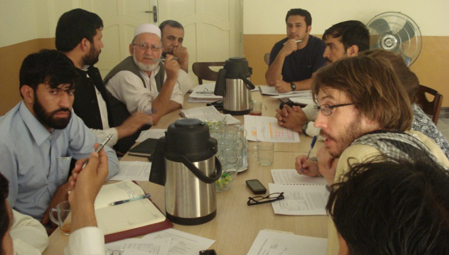 Afghanistans first Plant Biotechnology Laboratory was established in 2009 with the technical support and cooperation of the Aga Khan Foundation Afghanistan (AKF-A) and funds donated by the European Commission. The laboratory is located in Badam Bagh- Kabul, the research area of the government line department the Ministry of Agriculture, Irrigation & Livestock. Now this lab is working under the supervision of Seed and Planting Material Certification Directorate of MAIL. The overall objective of the project is to support and improve the horticulture sector of the country by improving the quality of planting material for propagation. The lab works closely with the Perennial Horticulture Development Project, ANNGO, ANHDO, PHDP and its partners, and verifies the health status of national and exotic germplasm of fruits trees to insure the distribution of only healthy and high quality planting material to nursery growers and farmers. 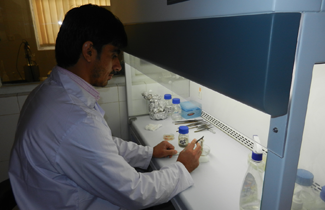 Each year, plant samples are collected for lab analyses from various agro-ecological zones of Afghanistan. The lab also actively participates in high level policy dialogue in order to develop control strategies for various pests and diseases, and to improve the nursery industry. The lab is well equipped with latest technologies and updated protocols are used to detect and identify fruit crops diseases. The plant pathogens (Virus, viroid, phytoplasma, bacteria and fungus) are detected and identified by classical methods and latest techniques (ELISA and PCR) and biological indexing. The lab also contains facility for plant nematode isolation from soil. Clonal rootstocks (GF 677, Farlod40, FOX 16e, Pyrold warf and Gisela 5) are produced by micropropagation in the tissue culture unit of the lab. The same facility is used for Micrografting (Virus cleaning). An acclimatization facility for the clonal rootstock has been constructed near to lab. From time to time the lab provides opportunities of capacity building/Training/internship for the technical staff of NGOs (Involved in horticulture development), MAIL and university students. Every year plant samples from various fruit trees are collected from all agro ecological zones (PHDP centers) of Afghanistan for the lab analyses. The lab is actively participating in the policy dialogue and the control strategies for the detected and identified pathogens. Since 2009, the laboratory has been detected and identified for the first time in Afghanistan some important viruses (ACLSV, PNRSV, CTV, GFLV etc) of fruit trees (almond, plum, peach, apricot, citrus and grapevine) along important fungal and bacterial pathogens. Thousands of clonal rootstocks have been produced for stone and pome fruits. 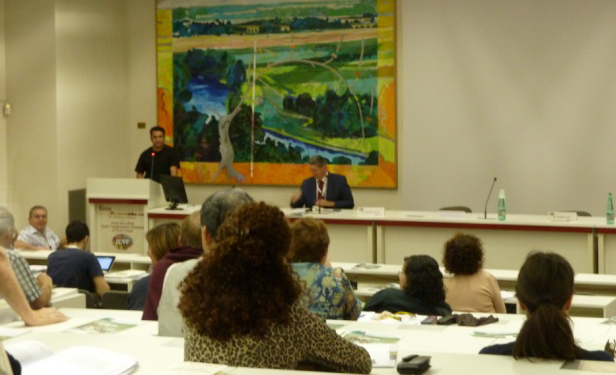 All the results and experience of Plant Biotechnology Laboratory is being shared with stakeholders on national and international level in seminars/workshops and conferences. The results are being published from time to time in international journals. Virology Unit:Detection and Identification of plant virus diseases by (ELISA, RT-PCR, Biological Indexing). Microbiology Unit: Detection and identification of plant bacterial and fungal diseases by Culturing and Microscopy. Tissue Culture Unit: Including (Production of clonal rootstock by micro propagation and Virus cleaning by microgragting).